Are you tired of dining in a crowded city center surrounded by noise and hundreds of people? You can now escape the urban rush and get the ultimate relaxing dining experience in Europe’s first underwater restaurant in Norway. ‘Under’ opened its doors to the public for the first time on March 20th, 2019. 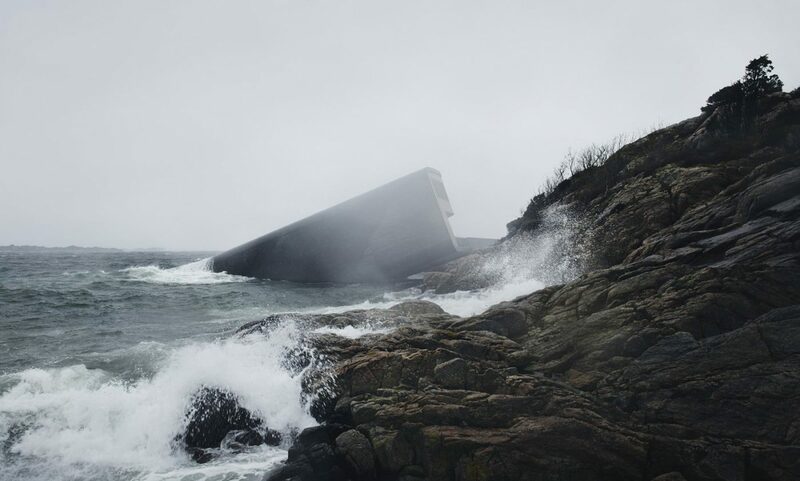 Situated amongst beautiful fjords in Lindesnes, Norway the restaurant the restaurant has been designed by the architectural firm Snøhetta and is undoubtedly the pioneer in underwater dining in Europe. 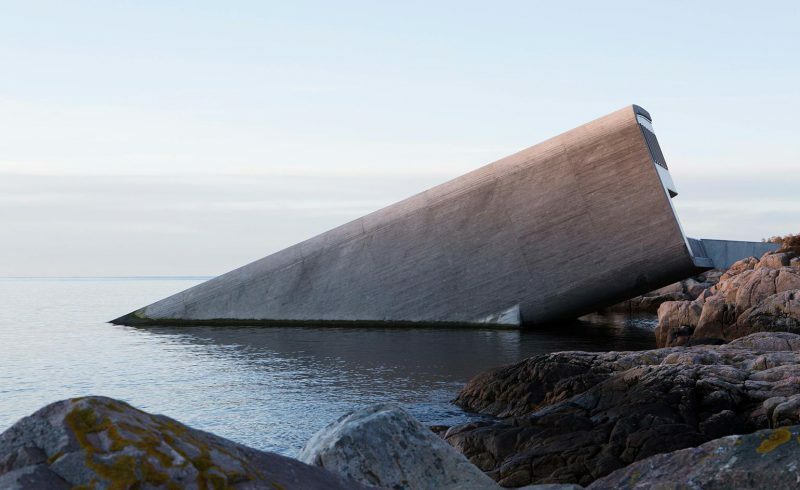 The half-sunk concrete building is extremely eye-catching: it looks like the effect of an accident, a structure almost swallowed by the sea. ‘Under’ is designed to integrate fully into the environment it is in: although the structure is very strong, it will in time be changed by the powerful waves and inhabited by kelp and different sea creatures. 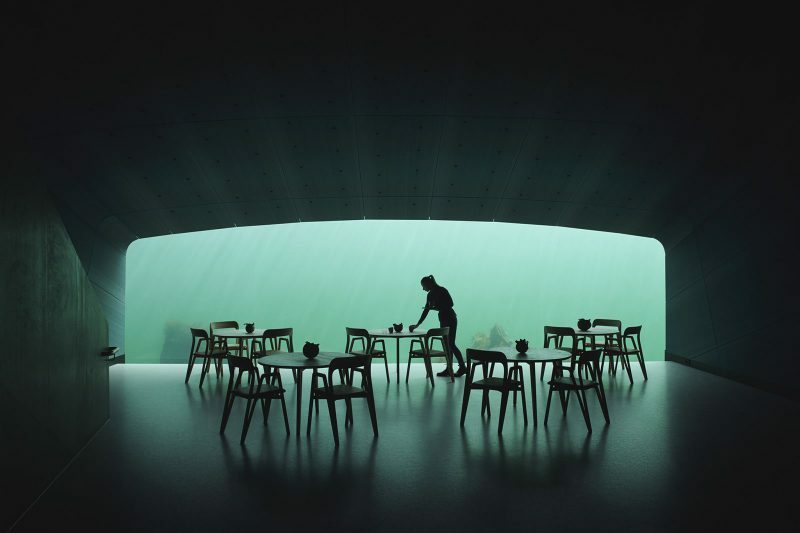 The environmental integration also reflects in the functions of ‘Under’ which apart from being a restaurant serves also as a research center for marine life, paying tribute to the rich ecosystem of the southern Norwegian coastline and waters. The huge window in the restaurant is comparable to a periscope which allows the visitors to observe the seabed (around 5 meters underwater) changing throughout seasons. 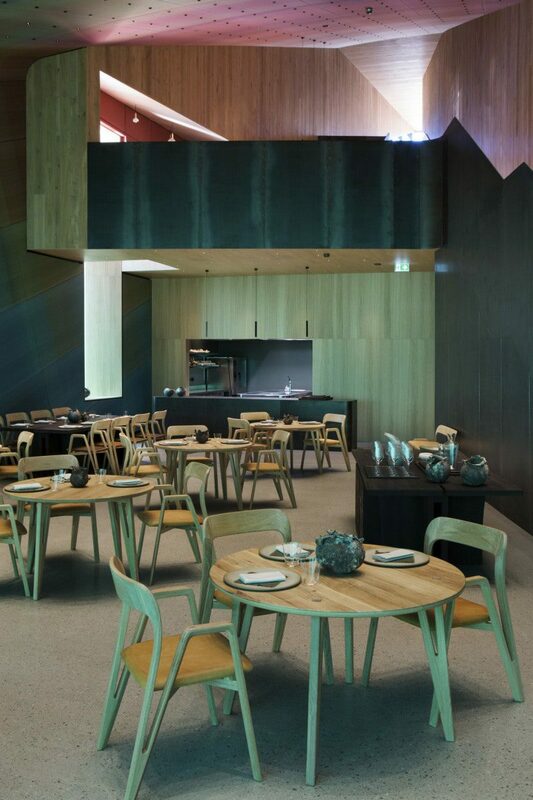 The interior of the restaurant is very simple, minimal in a very Scandinavian way, yet still impressively beautiful. The restaurant has three levels: the foyer, cloakroom, champagne bar and main restaurant are on the lower floor. 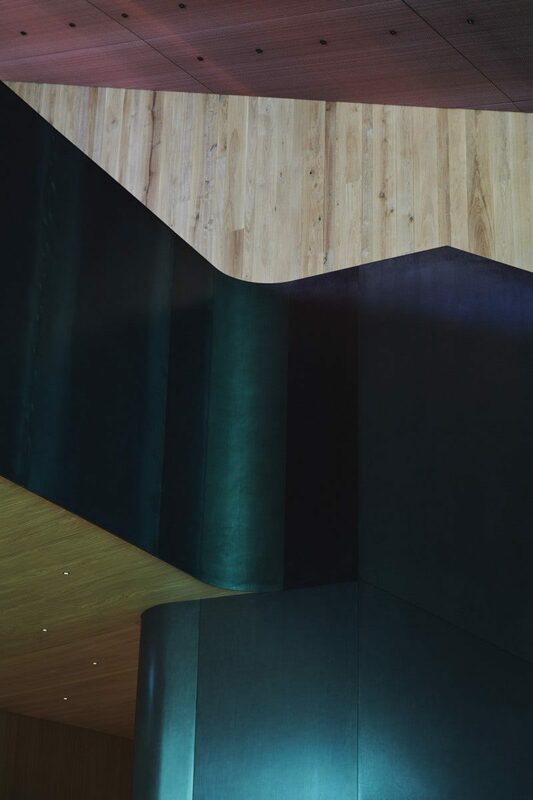 Connected by a giant oak staircase and the acrylic window peeking into the ocean, the space is very open and luminous even during nighttime thanks to gentle interior lighting. At night, the seabed (exterior of the restaurant) is also illuminated with soft lights in order to showcase aquatic life to guests after sunset. Under is unquestionably an architectural and design phenomenon worthy of attention. Although the menu prices of the restaurant are definitely not in the lower range, it is not only locally sourced deliciously prepared food that one pays for, but also an experience of a lifetime. Within a rushed city life getting away from to a quiet town in the southern fjords of Norway, and even deeper, underwater, sounds tempting and extremely relaxing. San Francisco-based Salvage Supperclub hosts multi-course dinners in dumpsters on the streets. The menus highlight ingredients that otherwise would have been thrown away. This picture was shot a couple of years ago, during a holiday at the French west coast close to the old pirate town of Saint Malo (which currently is a tourist town). It shows a temporary swimming pool, to use when the tide is low. Just when pop-up restaurants were starting to bore the hell out of us, we received an email from the people behind Wilddineren (Wild Dining), a super-temporary not-for-profit restaurant that serves unconventional dinners at even more unconventional locations.